No matter what size your business, a telephone system improves productivity and makes it easier for your customers to contact you. This system uses VoIP which means your phone call is sent via your broadband connection. 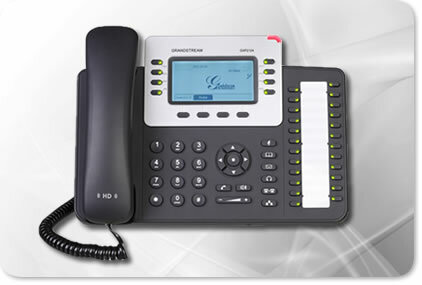 The call quality is the same if not better than a land line, but your flexibility increases as your costs are reduced. As your business changes you can easily add additional phone or remove phones. The mobile app allows you to make calls over WiFi as if you are in the office, it turns your mobile phone into your desk phone anywhere in the world. When you call someone your caller ID is actually the same as if you call from your desk. Added to this our low call costs of 1p per minute to landlines and 3p per minute to mobiles most of our customers save money whilst improving their efficiency.